Anker are at the forefront of portable charging and we’ve loved their previous releases which we’ve been honoured to cover via GYGO. So when we heard about their latest release of the 7-in-1 usb Hub Adpater which promised both charging and multi-accessory capability we had to find out more! There’s evidently clearly a plethora of portable usb chargers out on the market, the majority of which carry very similar traits and capabilities in charging tech such as smartphones, tablets and other accessories on the go. 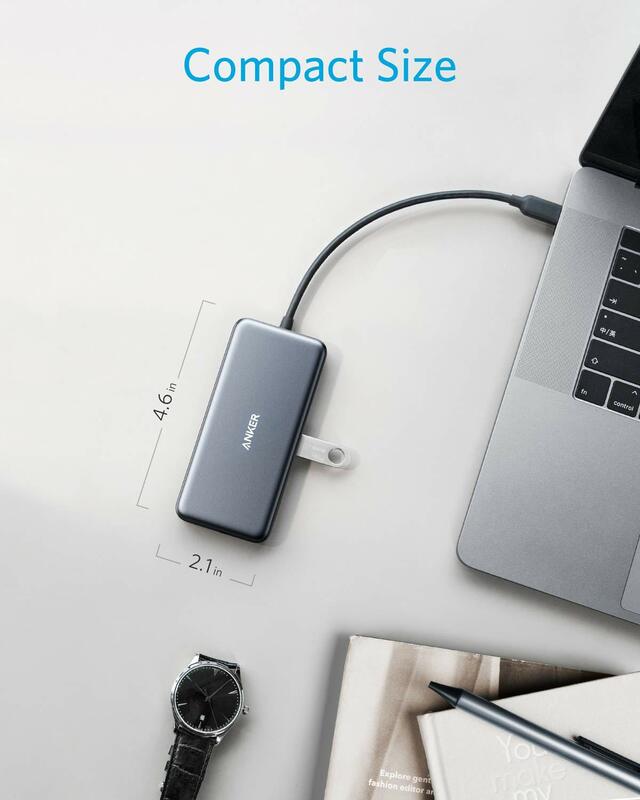 But what’s particularly impressive about the Anker 7-in-1 usb c charger is the fact that it packs all of this into such a diminutive device, along with so much more! Straight out of the box it’s superb to see what a minimalist aesthetic the adapter carries with a sleek black, but robust casing. It’s safe to say this adapter is going to be able to take a few knocks and still work fine which is great for media users on the go. It’s also impressively light at 68g with a startlingly small footprint of 27 “ x 4”. But within this miniscule hub, there’s a sublime amount of technological power. Incredibly there’s 3 standard USB ports for plugging into your devices. 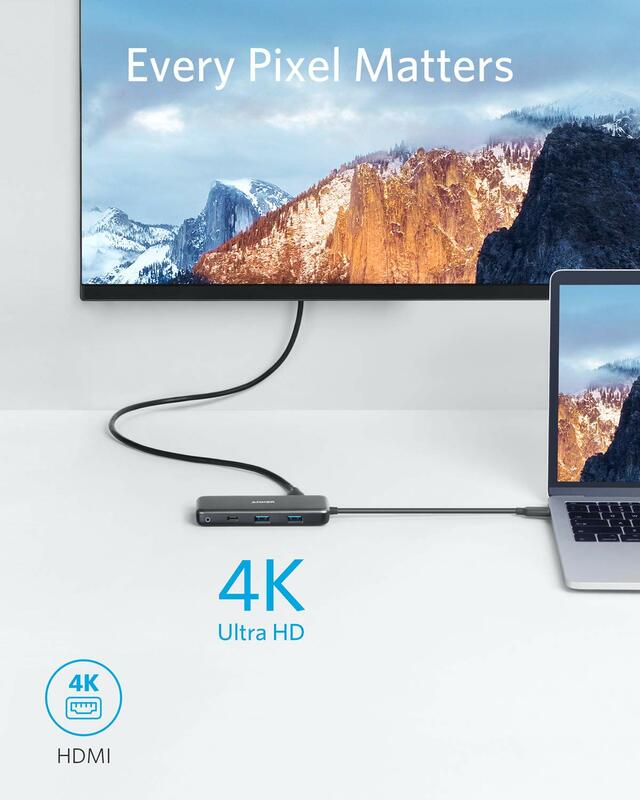 Accompanied with 1 HDMI port, 2 SD card spots (including microSD slot) not to mention a USB-C Power Delivery charge port to help power any devices on the go! This is not just a charging tool this is a multi-accessory powerhouse! We were particularly keen to see how easy it would be get the device going with such an array of features. We needn’t have worried, with Anker’s plug and play technology getting started was phenomenally quick. We used the device with a Mac OSX system but it should be said it easily fits Apple MacBooks and Google ChromeBook Pixels being compatible with Windows, Mac and Linux devices. The great appeal of the 7-in-1 adapter is the fact you can sync your music library or a photo album speedily with it’s insanely fast 5gbps data transfer speed. From there you can also swap and synchronise your data with pretty much any SD card. We tried this with both standard and micro sd and were blown away by how quickly and how well it synced. It should be said the 7-in-1 handles 4k seamlessly and we enjoyed streaming a multitude of video files without any hitches. A particular feature which really makes this stand out from the crowd. But the key part of the adapter is obviously it’s charging capabilities. We were astonished to find it charged a MacBook on a 100W charge whilst simultaneously connecting to additional accessories. Charging times were impressively quick and you can easily imagine this being a life saver when travelling without a power pack. For multi tasking it’s an absolute must and really is essential to video / sound editors on the move who rely on fast connection speeds whilst charging. 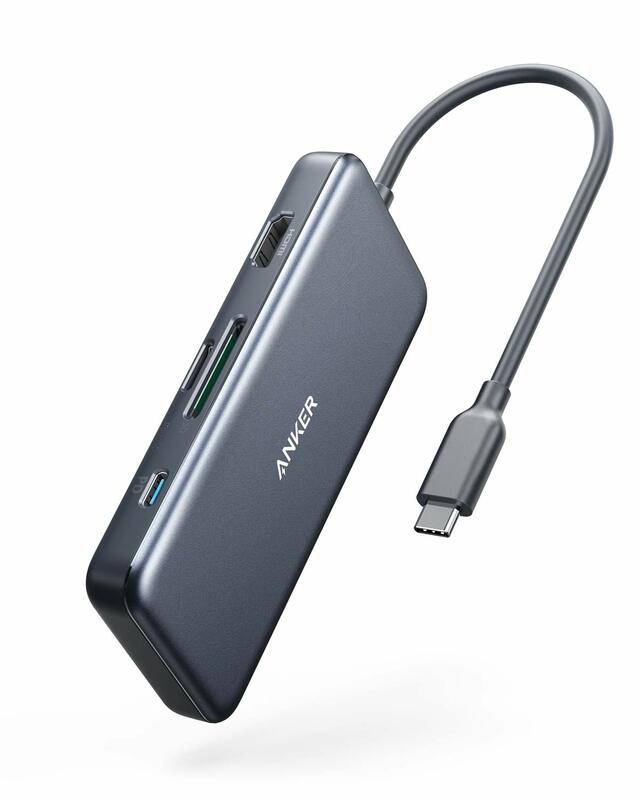 We really were blown away by the Anker 7-in-1 Premium USB C Hub Adapter. It’s quick and easy to get started and would make for an impressively small addition to a briefcase or laptop bag which you know will help sync your media and power your devices when you need it most.